If you’re claiming the cost of your mobile phone bill from a company or employer, it might be necessary to obtain an itemised bill or VAT receipt. In the UK, if you’d like to claim the cost of your mobile phone bill from a company or employer, it will often be necessary to provide an itemised bill or VAT receipt. This documentation will also often be required when you’re running your own business (e.g. for your company tax returns, expenses and VAT). If you’re looking for an itemised bill, most Pay Monthly mobile networks will offer this. However, it sometimes won’t include your in-bundle usage so it could be meaningless if you have lots of minutes and texts. Sometimes, an additional charge will be made for you to get a fully-itemised bill. Meanwhile, most Pay As You Go networks unfortunately do not provide an itemised bill. If you’re looking for a VAT invoice, all mobile networks are legally obliged to provide you with one on request. The difficulty of getting a VAT invoice will depend on your mobile network: it’ll sometimes be as easy as downloading a receipt from your online account but occasionally you’ll need to call up or e-mail to request one. Some mobile networks will insist you change to a business tariff before they issue you with a VAT receipt. In this article, we’ll discuss how to get an itemised bill and VAT receipt from mobile networks in the UK. 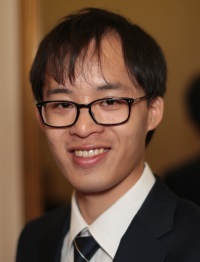 In the rest of this article, we’ll provide in-depth information on how to obtain an itemised bill and VAT receipt from each UK mobile network. If you’re on BT Mobile, you’ll receive a monthly bill with your BT Mobile charges. For customers who also have a BT Broadband service, the BT Mobile charges will appear on your normal BT bill alongside any existing charges for home phone, broadband and TV. 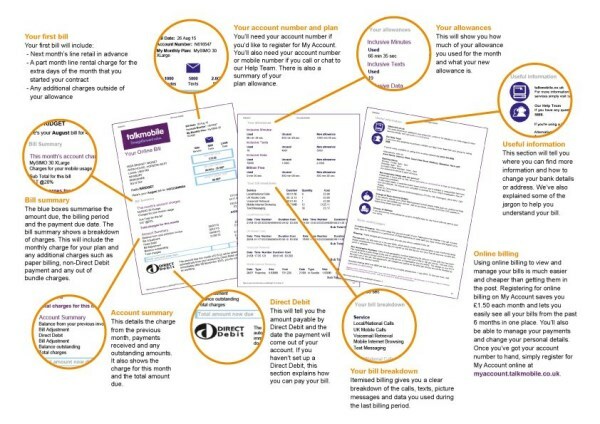 Your BT bill may also have been changed automatically from a quarterly to monthly basis. To get an itemised bill for your BT Mobile service, you can log in to the My BT website. If you use online billing, the itemised bill should already be available. If you get paper-based bills, you’ll need to click on ‘Manage my bills’ followed ‘How I’m billed’. Here, you’ll be able to choose from four different levels of itemisation (e.g. you could choose ‘Fully Detailed Itemisation’). If you need a VAT invoice, you’ll need to contact BT on 0800 800 150. You can specify over the phone if this is a one-off request or if you’d like the invoices on a regular basis. By default, on EE, you’ll only receive an itemised breakdown for any usage that occurs outside of your inclusive allowances. For many people, this won’t be sufficient for claiming back a proportion of your phone bill, particularly if your contract includes unlimited calling and texting. *Read our non-standard price guide for costs – see the charge for a paper bill. If you’d like a VAT invoice, you can also request this by calling EE customer services on 150. Unfortunately, itemised billing is not currently available on giffgaff. At the moment, the most you’re able to see is a summary of your charges on the giffgaff dashboard. In the past, a large number of people have requested itemised billing from giffgaff. The idea has gained more than 1,500 votes in the giffgaff community and as of February 2015, is listed as work in progress. If you’d like a VAT invoice for giffgaff top-ups, this is available through the giffgaff online dashboard. After logging in, click the ‘My payments’ tab at the top. Choose the option for ‘My order history’ and you’ll be shown a list of the five most recent top-ups on your account. From there, you can click on the ‘View details’ icon next to the relevant top-up. On the right-hand side, you should then find a button reading ‘Download VAT receipt’. On iD Mobile, you can download an itemised bill and VAT receipt through their website and application. For more information, see the iD Mobile help article which also includes an example bill. On iD Mobile, you can download an itemised bill via their website. Yes, we are happy to provide you with a VAT invoice. Please email us at talktous@lifemobile.co.uk or call our Customer Services team free on 500 from your mobile or 0800 0791133 from another phone. Please note that a £10 administration fee may apply if you would like this sending out via post. With LIFE Mobile, your online bill will only show an itemisation of out-of-plan charges. We are not currently sure whether LIFE Mobile offers a fully-itemised bill with in-plan itemisation. If you have any further information or feedback on this, please drop us a comment below with your feedback. On O2, it’s possible to download a fully-itemised bill. You can do this by logging in to My O2 and clicking on the ‘View my full bill’ option under the ‘My bill summary’ heading. You’ll be able to download the itemised bill in PDF format. Alternatively, if you want a printed copy sent to you in the post, there’s an additional charge of £1.50/month. 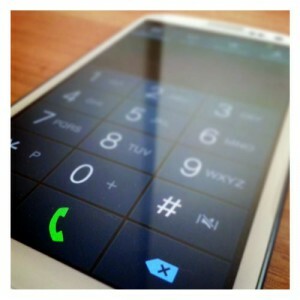 If you’d like a VAT invoice from O2, you’ll need to contact O2 customer services by calling 202. Alternatively, you can use O2’s online chat service. It’s free to get an electronic VAT invoice. If you’re a Talkmobile customer, you’ll be able to download an itemised bill and VAT receipt by logging in to the Talkmobile website. For more information, see the Talkmobile help pages which also include a sample bill. Talkmobile allows you to download an itemised bill and VAT receipt. On Tesco Mobile, you can access your itemised bills and VAT receipts through My Tesco Mobile. To do so, log in on the Tesco Mobile website and choose the option reading ‘View or change my account details’. Under the ‘Bill format’ drop-down menu, there’ll be three options: either to see a summary bill, itemised bill or VAT receipt. Once you’ve chosen the relevant option, click the ‘Update’ button at the bottom of the page. You can then go back to the ‘View details of my bills and payments’ section where you’ll be able to see all of your most recent bills. On Three, you can access your itemised bill by logging in to your My3 account. You’ll also be able to download your bill in PDF format. If you’ve just joined us or you’re thinking of joining us and you want to receive VAT invoices, you’ll need to be on a business plan, or move on to one. If you joined us before 18 August 2016 we’ll issue a VAT invoice where we legally can, following a few simple verification checks. You can request a VAT invoice by calling 333 from a Three phone, or 03333 381 001 from any other phone (standard call rate applies) and selecting the Billing option. On Virgin Mobile, you can download an itemised bill and VAT receipt by the logging in to the Virgin Mobile website. Once you’ve logged in, click on ‘See my bill’ and you’ll be able to download both of the required items. 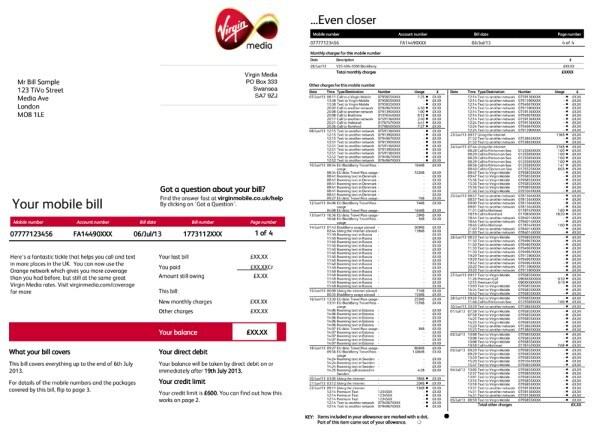 Virgin Mobile offers an easy-to-download itemised bill and VAT receipt. If you’re a Vodafone customer, you can access a fully-itemised bill and VAT invoice through the My Vodafone website. Once you’ve logged in to My Vodafone, click on ‘See bills’ followed by ‘Download your bill here’. 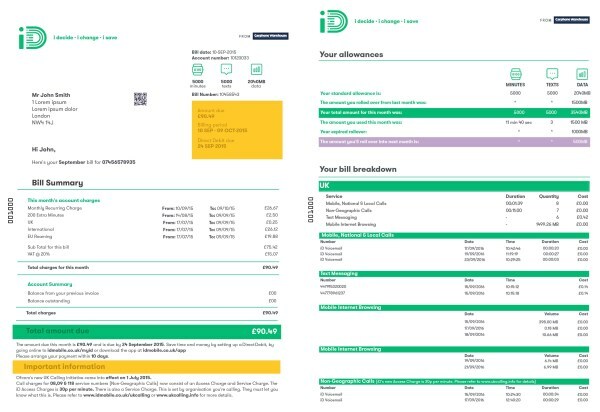 There are several different formats in which you can download your bill, the most useful probably being ‘Full itemised bill’. Source: Vodafone Help: How can I download my bill to print or save it? For more information, please see your mobile network’s website (in particular, their help pages about itemised billing and VAT). If you’re looking for a new mobile phone deal, you can see our guide to the available options here. In particular, we recommend getting either a Pay Monthly SIM card or Pay As You Go SIM card.